In the last 20 years, the explosive development of telecommunication and computer technology has transformed information in the most important economic and social asset. The information society has changed the rules of interactions between people and organisations, increasing the power of individuals. The specific characteristics of the Internet permit freedom of expression and interaction, to a level unmatched by the traditional channel of communications. As the use of the Internet became more spread in the society, the governments understood that it is risky and ineffective to ignore the possibilities provided by online information and communication. Since the Internet cannot be controlled by any single institution, the only possibility to influence public opinion is to participate in online exchanges. From this perspective, the Internet can be defined as a highly democratic media channel, which allows not only one-to-one, one-to-many or many-to-many communication, but also the storage and retrieval of historical data. On the other hand, Internet communication can improve the efficiency of various administrative operations and reduce costs. 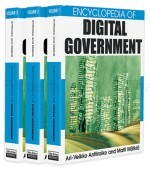 E-government tends to be multidimensional, impacting above all on economic, social and governance dimensions. The benefits of introducing online system in the area of government and public administration are many and varied, such as: cost-effective delivery of services, improved revenue collection on taxes and service levies; IT literacy and reduction of the internal digital divide; increased access to and quality of education; improved education management capacity; improved social security; improved social welfare; integration and coordination of social and economic policy; improved public safety and security; increased capacity for a rational distribution of public funds (geographically and among population groups); greater accountability and transparency in public administration; better coordination and cooperation among government agencies and among different levels of government; improved public relations and communications; increased awareness of rights of civil society and obligations of government; greater public participation in governments’ affairs (United Nations, 2003). The implementation and effective co-ordination of e-government systems is complex and difficult, requiring knowledge and substantial resources. The implementation process will be most probably influenced by the level of economic development of every country, as well as by the political agenda of the ruling party. From this perspective, there might be significant differences between the developed economies that have a stable democratic system, and the developing countries, or the economies in transition. These countries, some of them with a fairly developed financial and technological infrastructure, experience specific conditions in terms of knowledge, technological abilities, IT market, telecommunication infrastructure, and regulations. Many of these countries are presently attempting to transform a traditional economy, into an e-society in which Internet communication and interaction pays a central role.